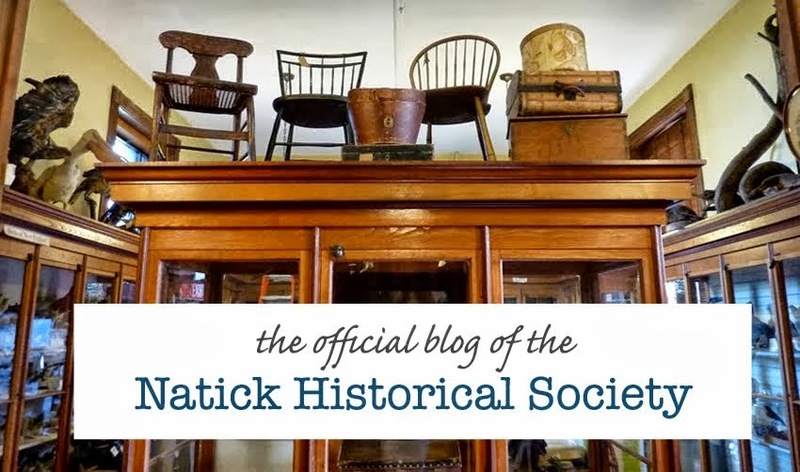 It's been an eventful several months at the Natick Historical Society! 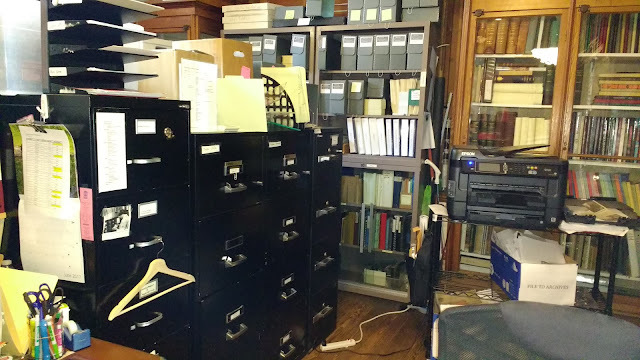 Remember the overcrowded rear wing of the Museum, crammed with file cabinets, bookcases and books, desks, photocopiers, and boxed archival materials? Before the move. There's a window behind all those bookcases! 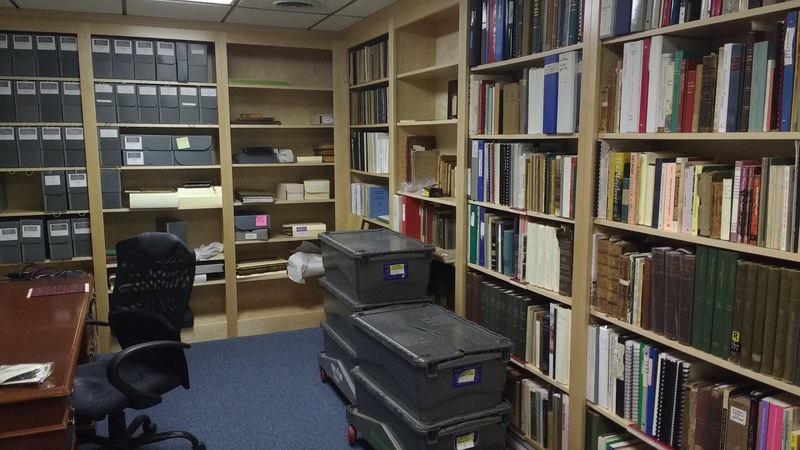 In October 2017, following an intense period of packing and planning, we moved all these items to new quarters: our beautiful new Research Library & Office at 207 Union Street, just around the corner from the Museum. 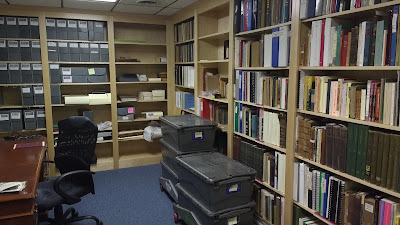 The clean, well-lit space gives us badly-needed room to store, preserve, and share with users our growing collection of books, photographic materials, and paper archives. 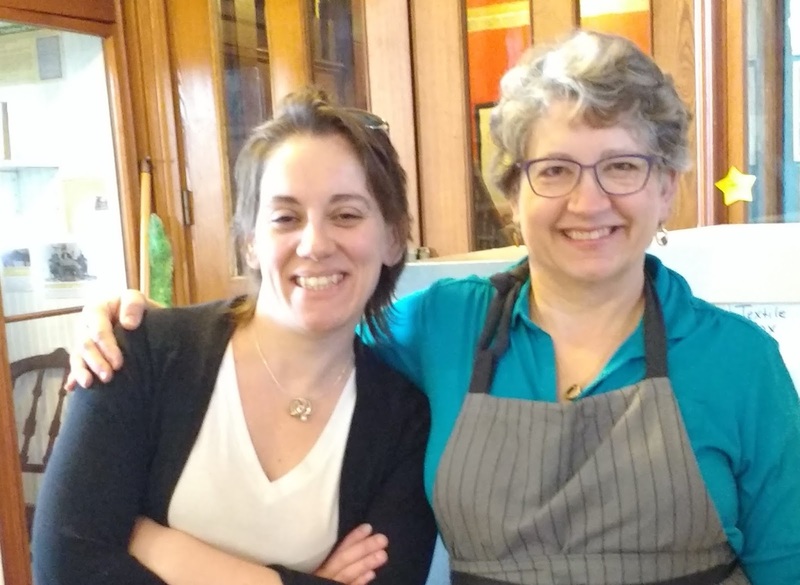 We'll soon have regular open hours at the Research Library. 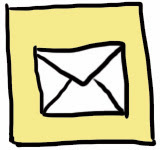 In the meantime, if you need to access materials or would like help with research, please call or email for an appointment. 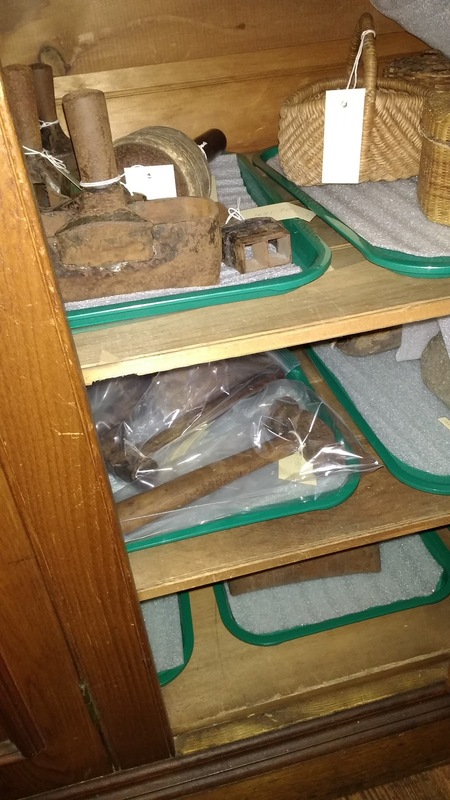 Meanwhile, back at the Museum, excitement was growing. For the first time in anyone's memory, we could see the space as it must have looked in 1880, when the Natick Historical Society first moved into the newly-built Bacon Free Library building. It was a thrilling moment when we could at last open the shutters at the rear of the building, admitting a shaft of October sunlight and a view of the river outside. The open space inspired new ambitions for the Museum. Guided by architect and NHS board member Steve Evers, a team of experts embarked on what would become a major restoration project. First, the many hundreds of objects on exhibit at the Museum had to be safely packed, inventoried, and stored. helped with this mammoth task. 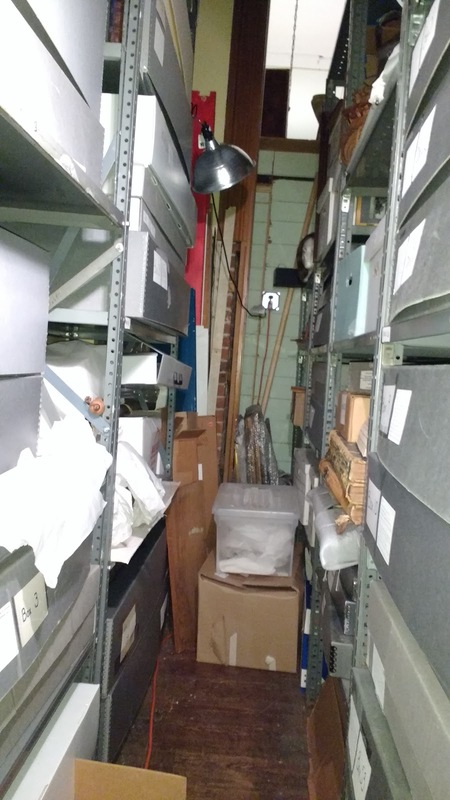 Structural problems--sagging floors in both wings of the Museum--were also addressed. 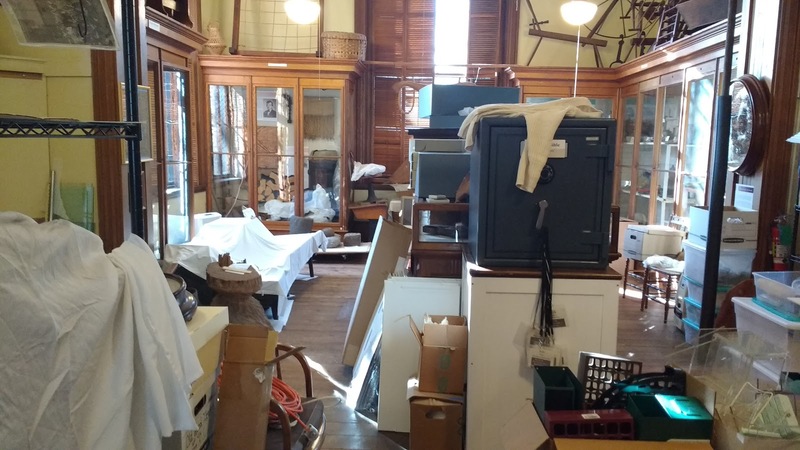 Next, cabinetmakers returned the Museum's nine-foot-tall ash-wood exhibit cases to their original configuration. 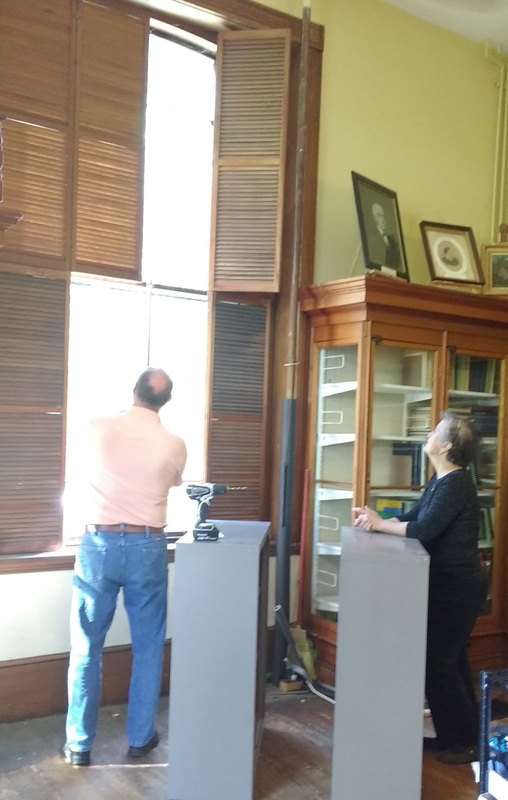 Their work restored the symmetry of the Museum's two side wings, eliminated an unsafe and overcrowded storage alcove, and exposed another long-blocked window. 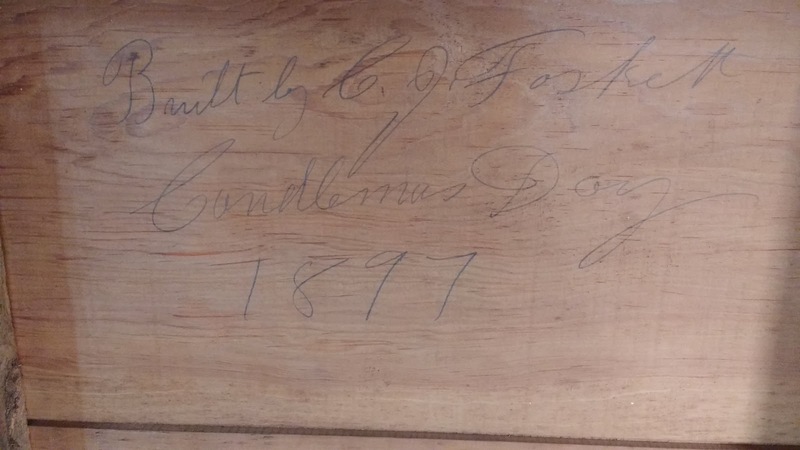 A large free-standing exhibit case, built in 1897, posed a problem: it had to be removed, but no one could bear to see it demolished--especially when we found a penciled signature of the cabinetmaker on the underside of a board. 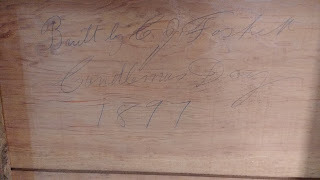 "Built by C. J. Foskett, Candlemas Day 1897"
NHS member Vin Vittoria saved the day by finding a home for the cabinet at the Walnut Hill School. 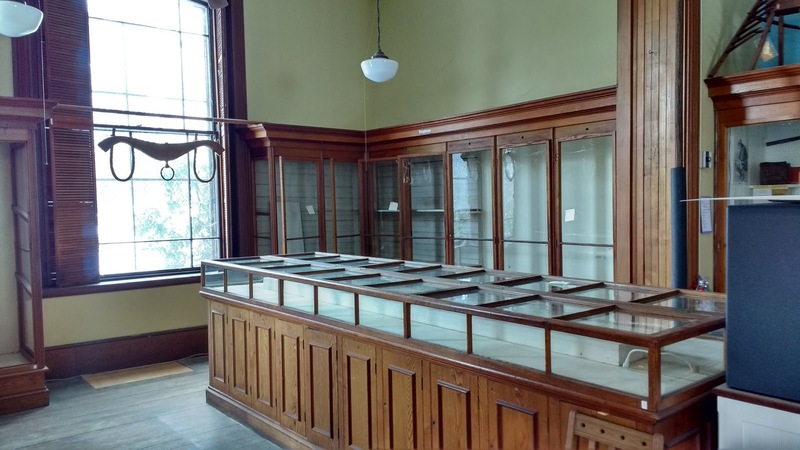 We were so happy to know the cabinet will remain here in Natick! 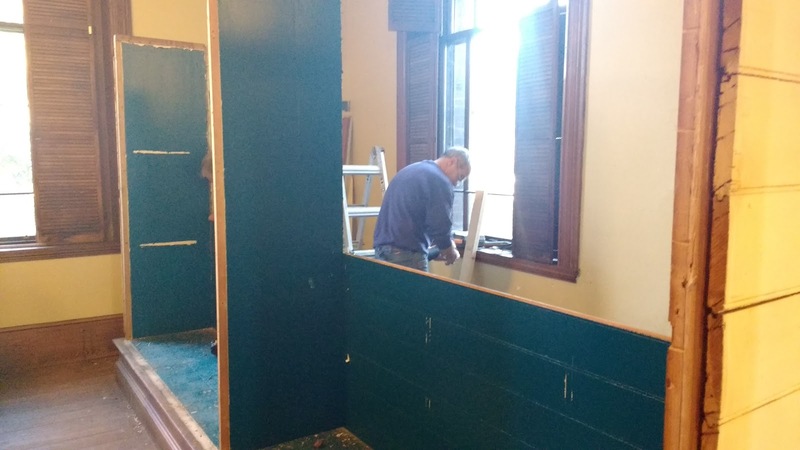 Next up: painting of walls, ceilings, and the interiors of exhibit cases--still underway as of this writing. Then the Museum's floors will be refinished. 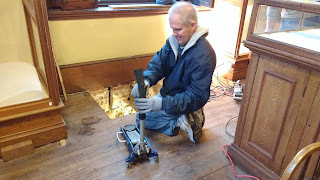 New LED lighting will replace old dim bulbs and tangles of wires. All this work will likely be done by May. It's been quite a journey! We can't wait to show you our shining new Museum. Copyright 2013, Natick Historical Society. Simple theme. Powered by Blogger.